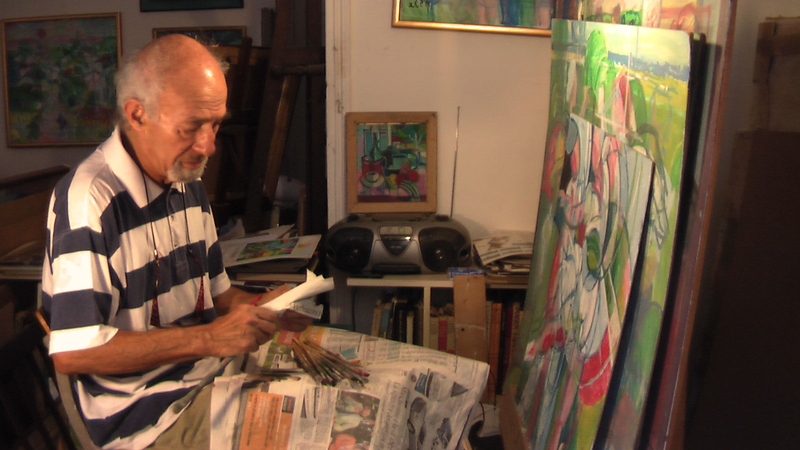 Daniel Schinasi in his Nice, France art studio. Daniel Schinasi belongs to the original movement originally created in 1970 and named “Neofuturism“. Perhaps, for better understanding his revolutionary style it would be useful to remember what were the origins of Futurism itself. The Futurism’s movement, born in the early 20th century, embraced the concept of breaking away from anachronistic dogmas of the traditional art by glorifying forms of modernity. It was greatly inspired by “The Futurist Manifesto“(F.T. Marinetti, February 11, 1910) and was known in France as ” Apollinaire”.